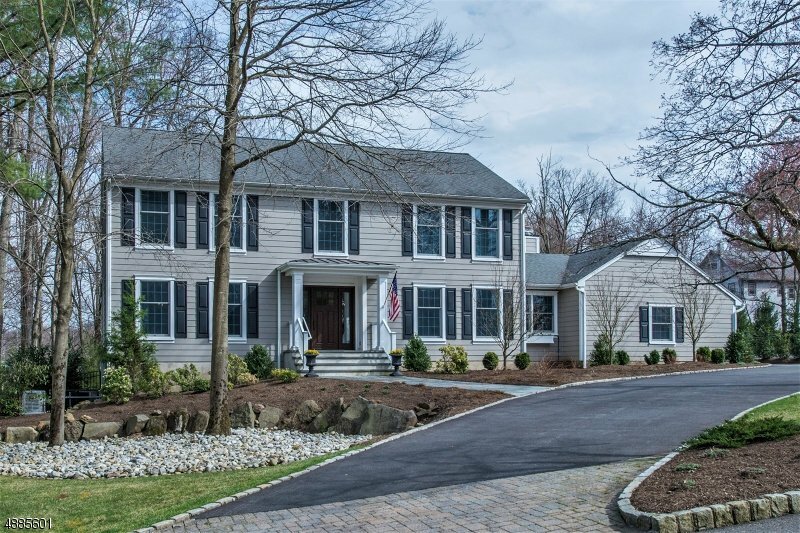 This Move in Ready Classic Colonial has the room to spread out but the feel of HOME. Whether you welcome guests into the designer living spaces or entertain outdoor, this gem does not disappoint! Ideally located on one of N.Caldwell's loveliest cul-de-sacs, this beauty has all of the bells and whistles one comes to expect, with an extra whistle or 2 for good measure! Indulge in your Gourmet Kitchen with SubZero Refrig, Miele Gas&Steamer Ovens & Thermador Stovetop then relax in your charming screened-in porch or impressive great room with cathedral ceilings,substantial wood beams &stone fireplace.Mud room,Laundry&Office w/Gorgeous HW floors comp.1stFL. Master Suite with closet to die for. Fin. basement (storage galore) w/walk out to your Entertainers Delight w/gas firepit! Whole House Gas Generator too!